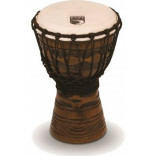 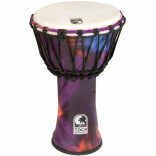 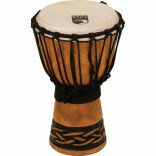 The Toca Synergy Freestyle 12 inch Djembe is one of a kind. 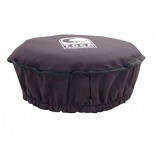 The patented synthetic shell lightweight.. 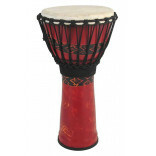 Specifications: Size of playing surface 9 inches Weight 0 - 5 kg Djembe / drum he.. 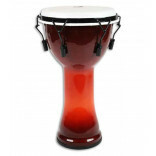 Specifications: - Lightweight, durable shell - 9"(22,8 cm) all weather synthetic hea..
- Diameter: 7" - Height: 12" - Material: Mahogany from plantations - Carv..